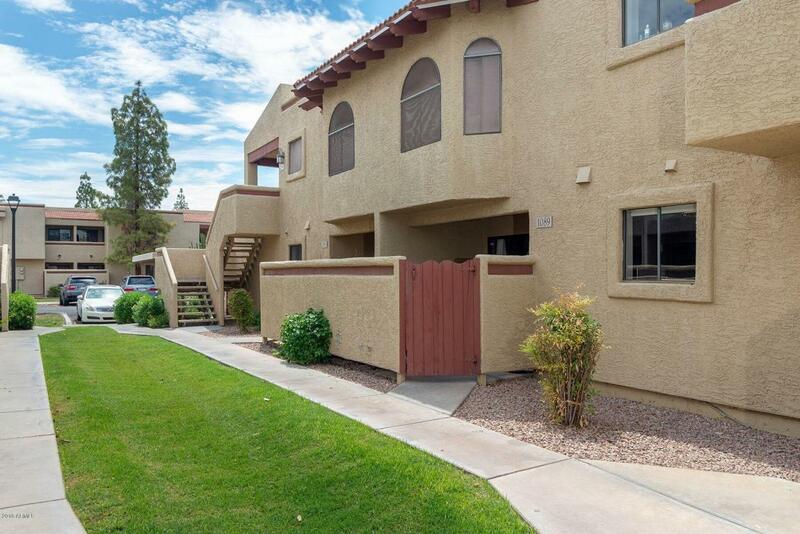 Beautifully remodeled-first floor- townhome with two master suites in gated community with pool! 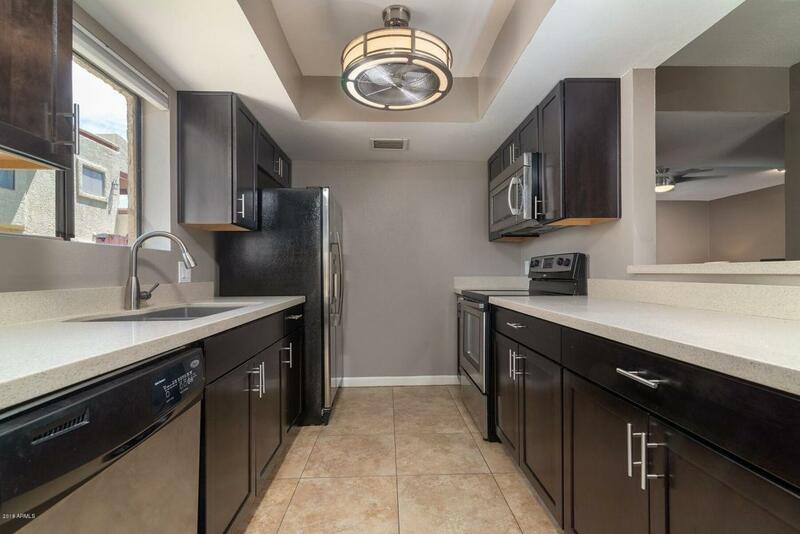 Gorgeous kitchen features stainless steel appliances, new quartz counters, cabinets, sink, garbage disposal and lighting! Both Master bedrooms have walk in closets and bathrooms have new vanities, faucets, lighting and mirrors. Washer, dryer and fridge included. 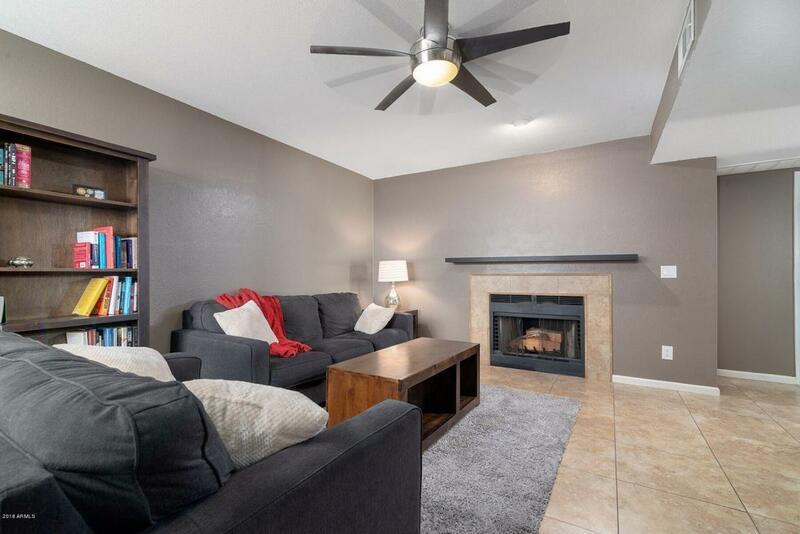 Home has lovely fireplace, all tile floors,fresh paint, newer water heater and has been re-plumbed with PEX piping. Three patios one with storage closet (other with storage box, which stays)and front patio. 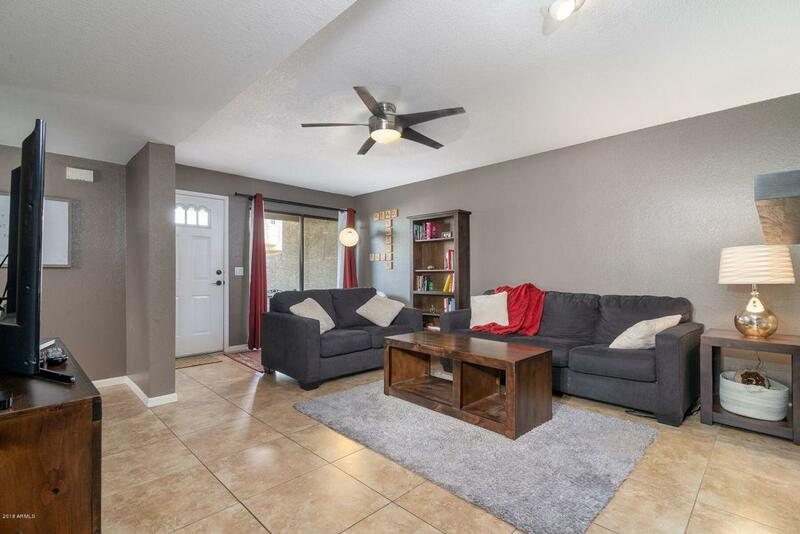 Close to ASU, freeways, spring training and light rail. HOA recently resurfaced parking lot, has plans to paint and maintains roof.